Over the years we've had a blast making your fundraisers a big success. It's our pleasure to offer the very best service, a wide variety of name brand products, and selling options perfect for any organization. We're proud to offer the very best fundraising experience in our industry. But don't take our word for it. Read what customers are saying. 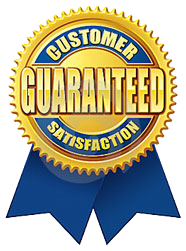 "We were very impressed with your driver and helper. Both men were professional and seemed very dedicated to not only unloading the truck and setting up the delivery but also seemed to be concerned about us being happy and making a good impression on us. We have been with you for a few years now and we really felt that these were the BEST drivers and workers you have ever provided us. They made Gateway Fundraising look very good and we hope to see them again for all our future deliveries"
"Excellent customer service, great products, and thousands of dollars made for organizations! From the owner, Bob, to their other employees, such as Mark, Margie, and Michelle, the fundraising experience is seamless."